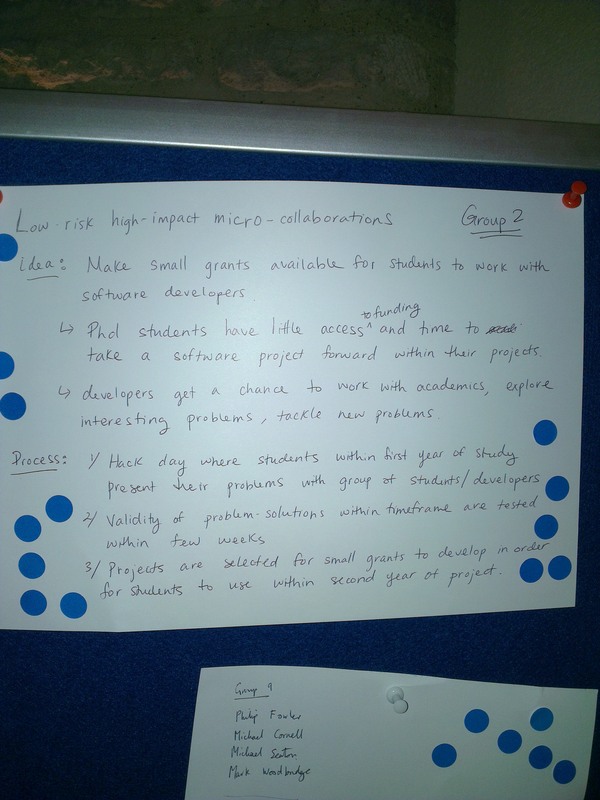 The best Collaborative Idea of the Collaborations Workshop 2013 turned out to be Low-risk high-impact micro-collaboration which received 19 votes. Congratulations! 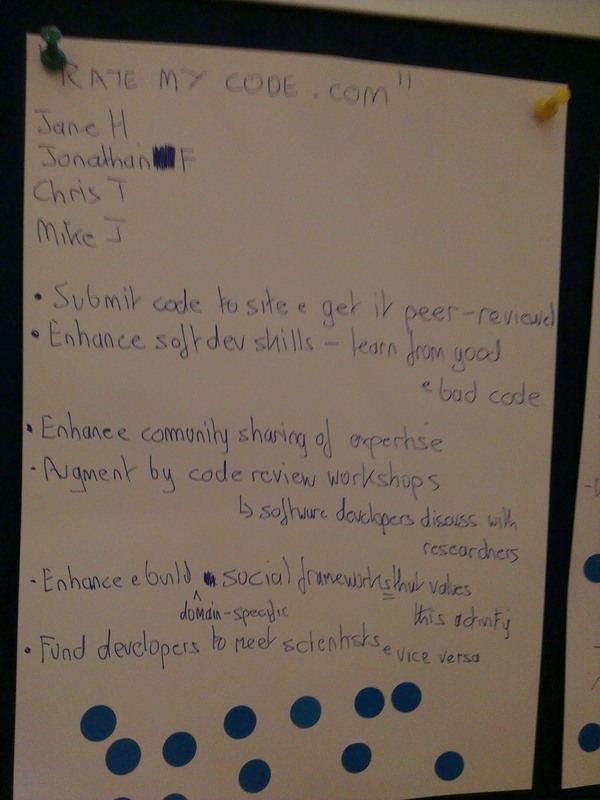 The Collaborative Ideas session turned out to be very fruitful - there were 19 Collaborative Ideas in total submitted for the voting. 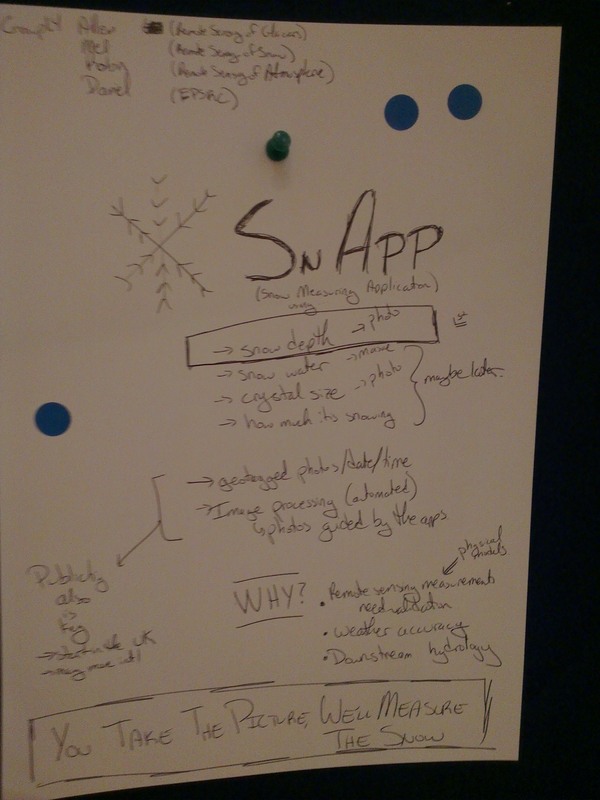 During the workshop the delegates voted for the best idea. Each delegate had 3 votes which could be distributed between the ideas or be all given to one of them. Below we present the Collaborative Ideas according to the ranking they received during the voting. 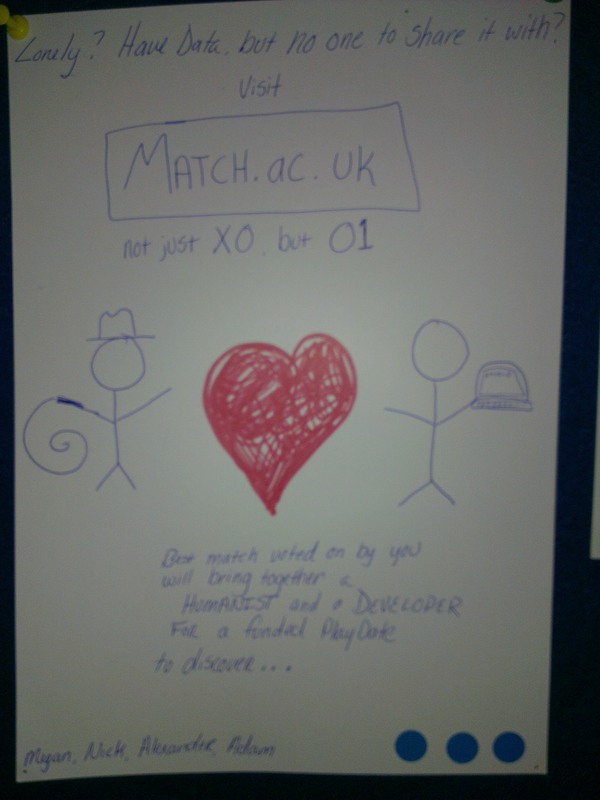 Low-risk high-impact micro-collaboration - 19 votes. Rate my code - 18 votes. 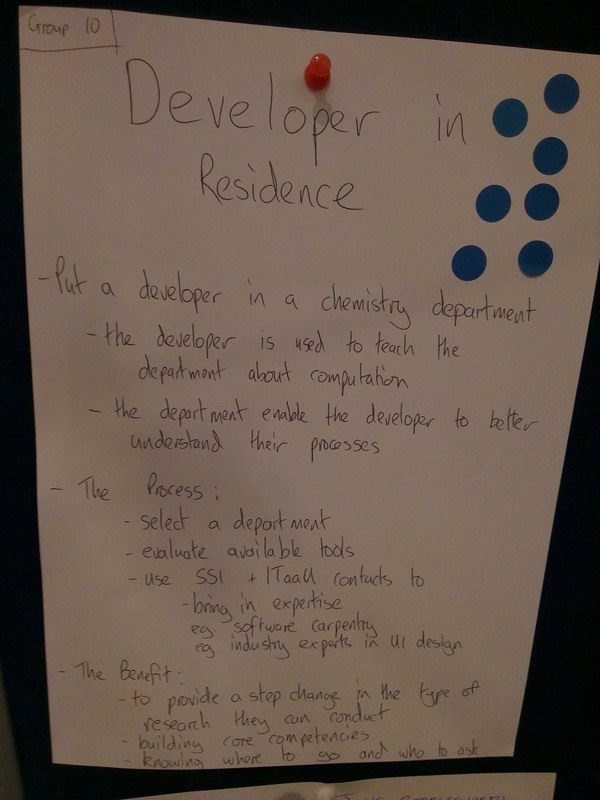 Developer in Residence - 8 votes. 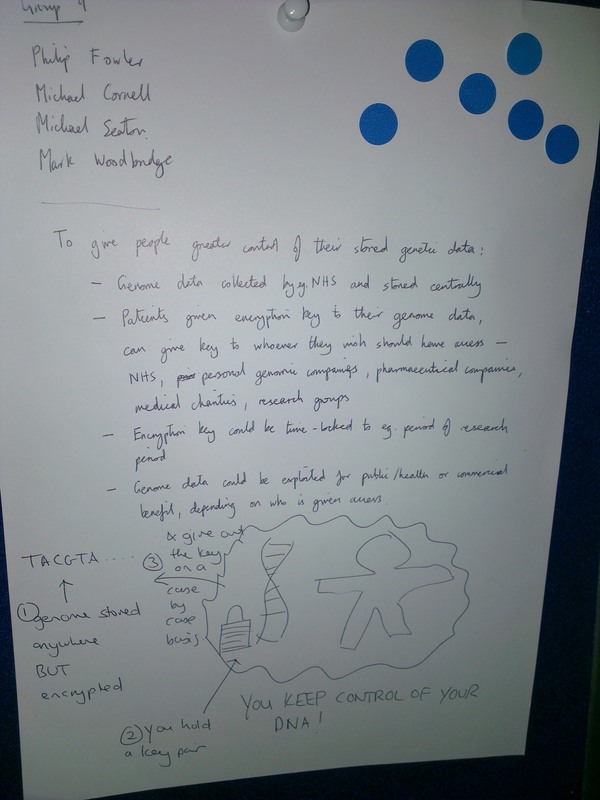 Greater control over the stored genetic data - 7 votes. 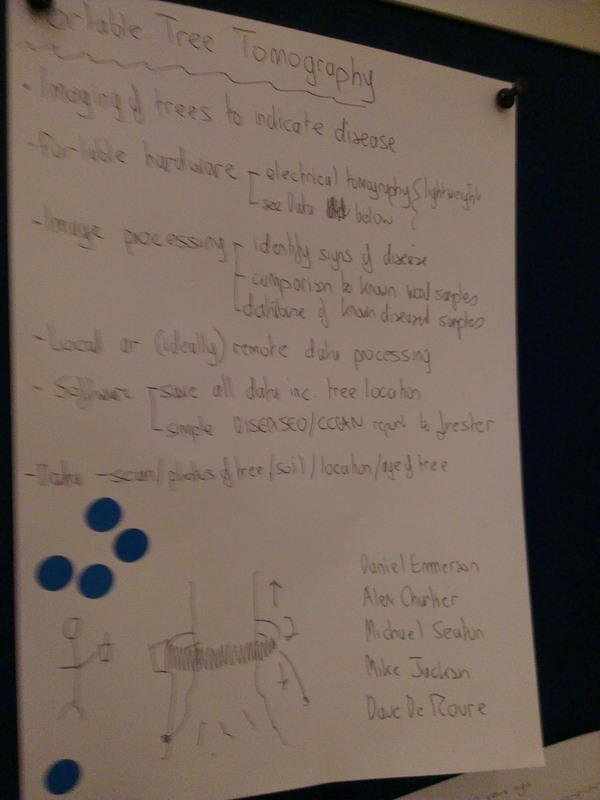 Portable Tree Tomography - 7 votes. 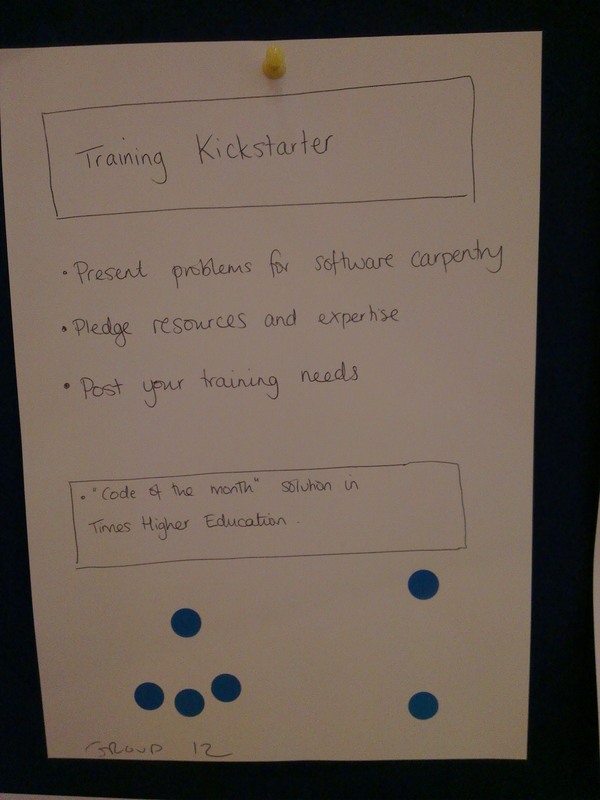 Training Kickstarter - 7 votes. 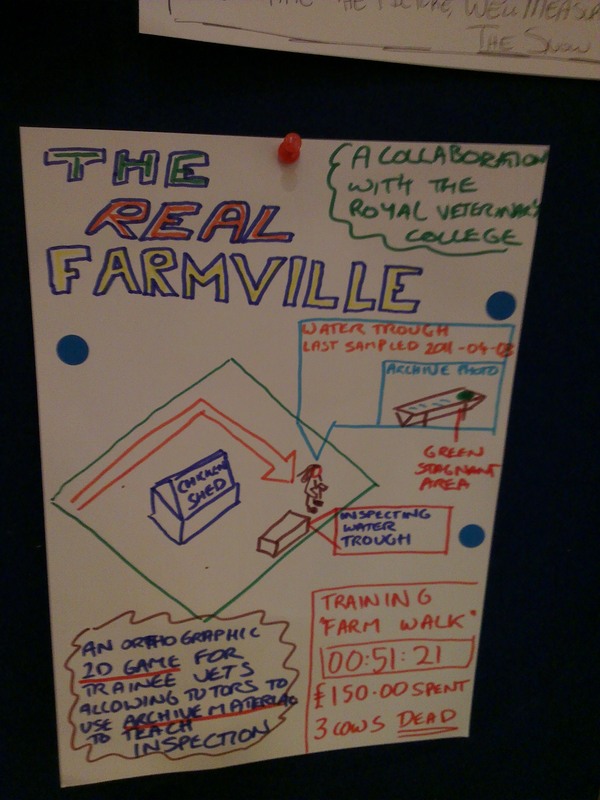 The real Farmville - 6 votes. 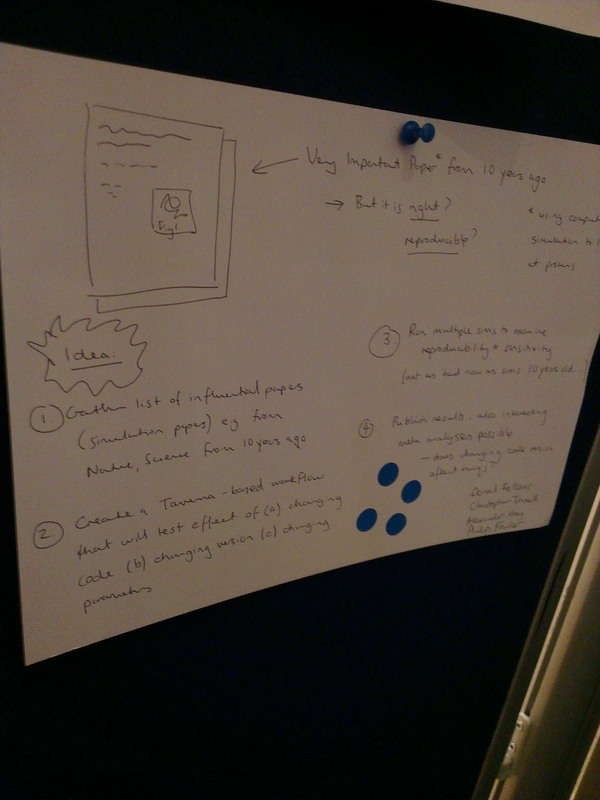 Reproducible paper - 4 votes. 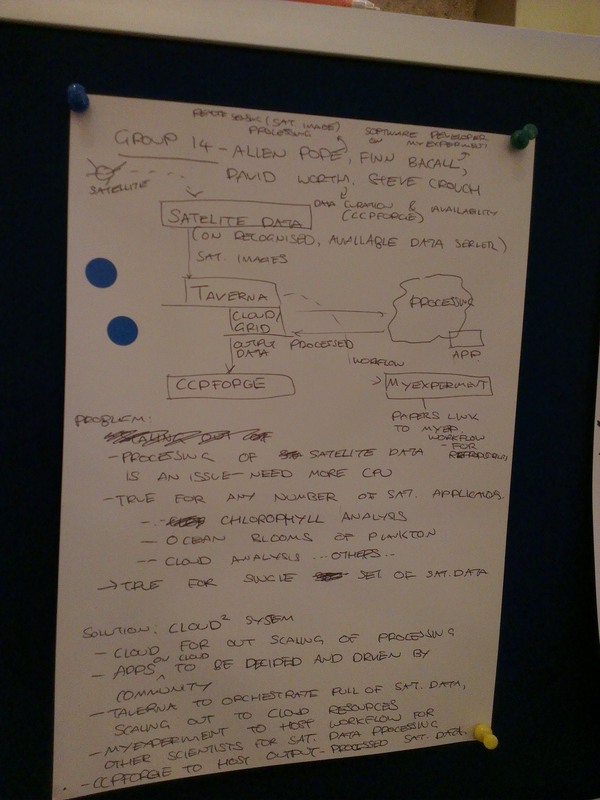 Cloud2 System - 3 votes. 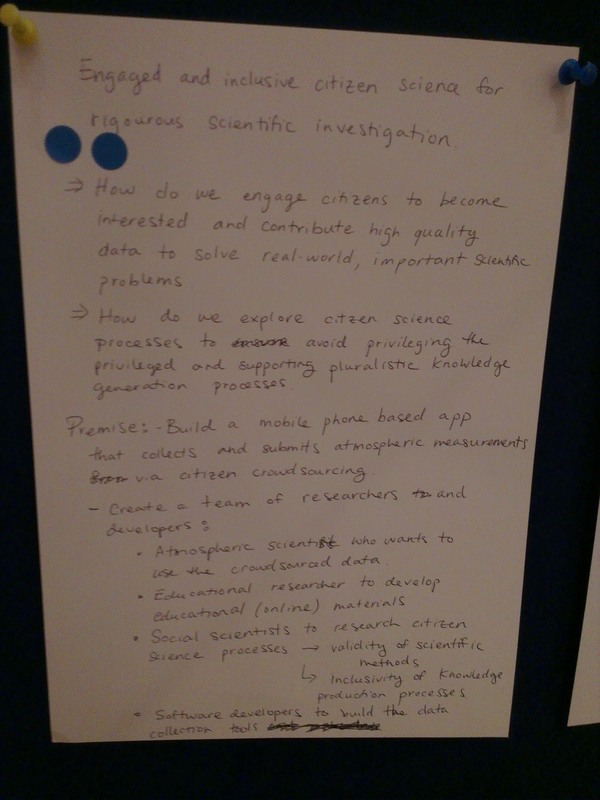 Engaged and inclusive citizen science for rigorous scientific investigation - 2 votes. 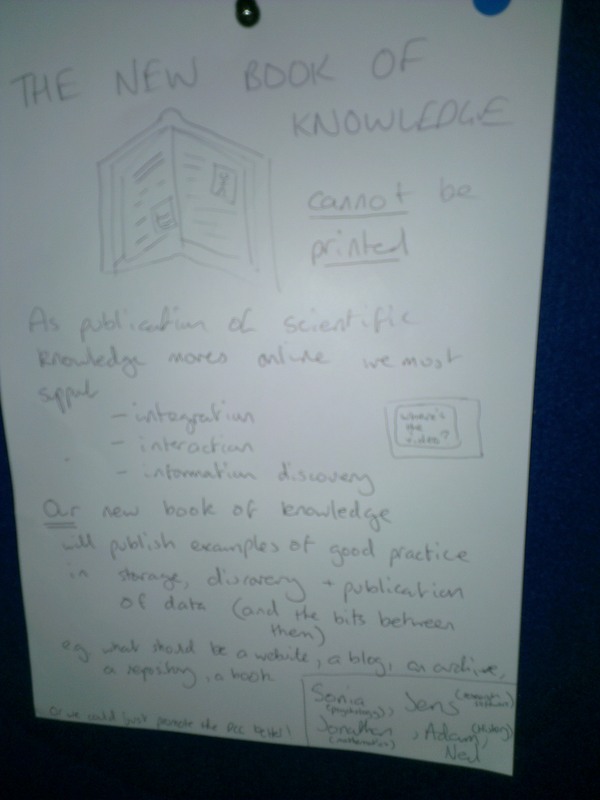 The new book of knowledge - 2 votes. 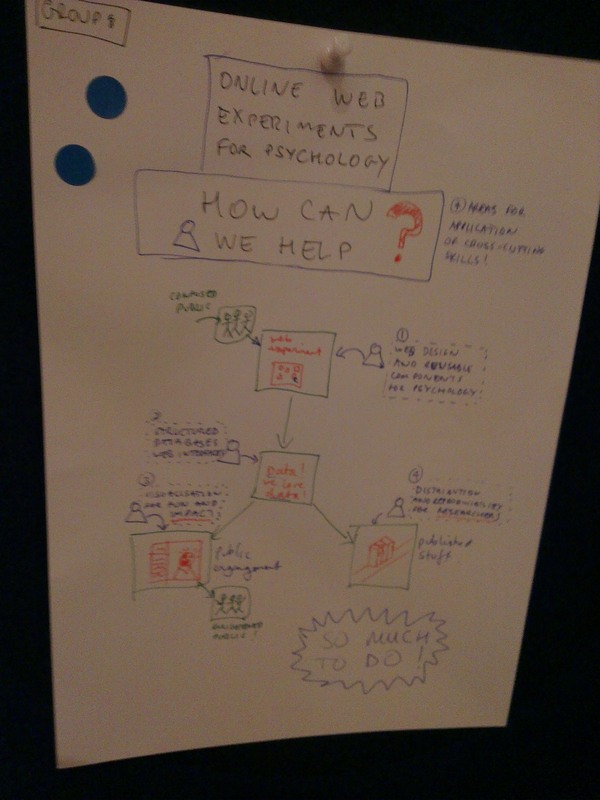 Online web experiments for psychology - 2 votes. 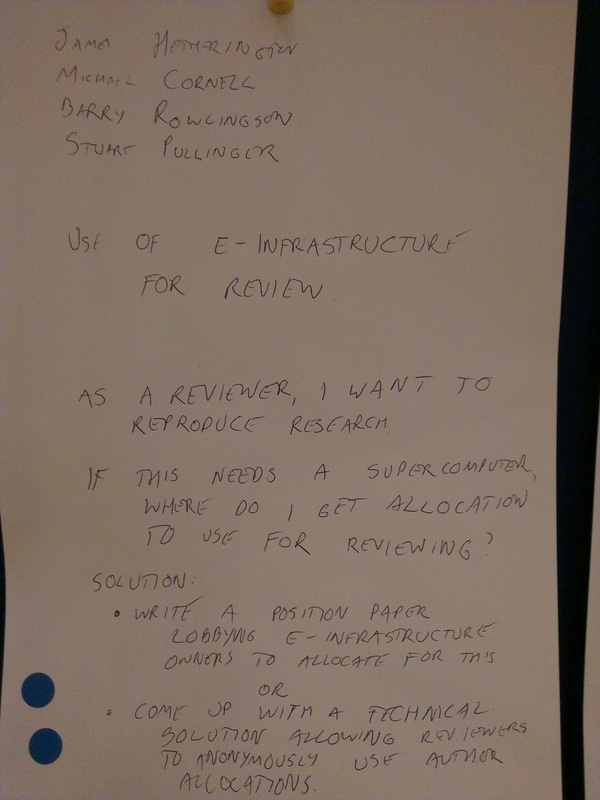 Use of infrastructure for review - 2 votes. Whammo! 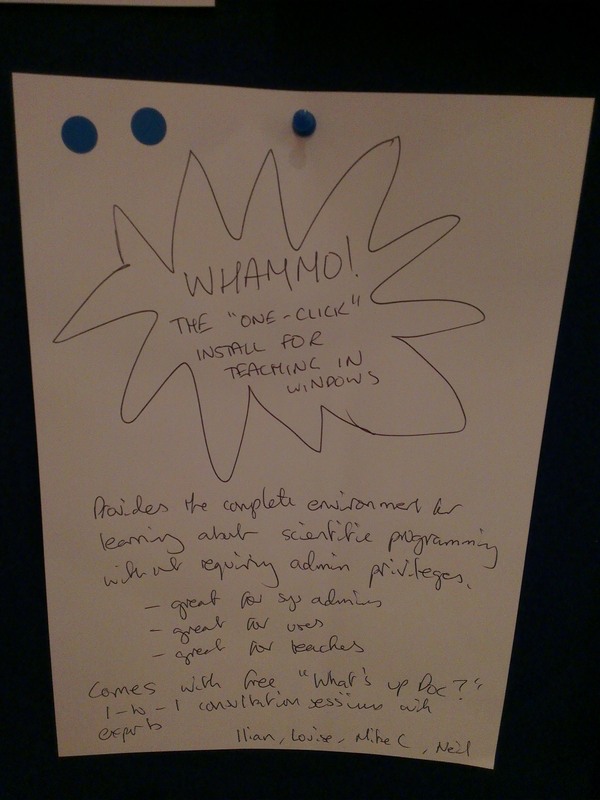 The "one-click" install for teaching in Windows - 2 votes. 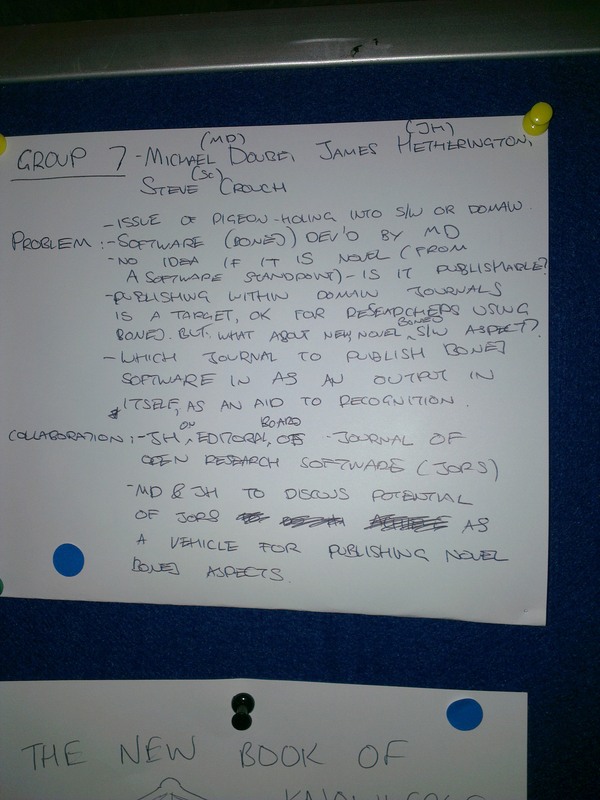 Publishing novel research software aspects - 1 vote.